Five our young artists are working diligently toward their end goal: the Artscape 2019 Exhibition! 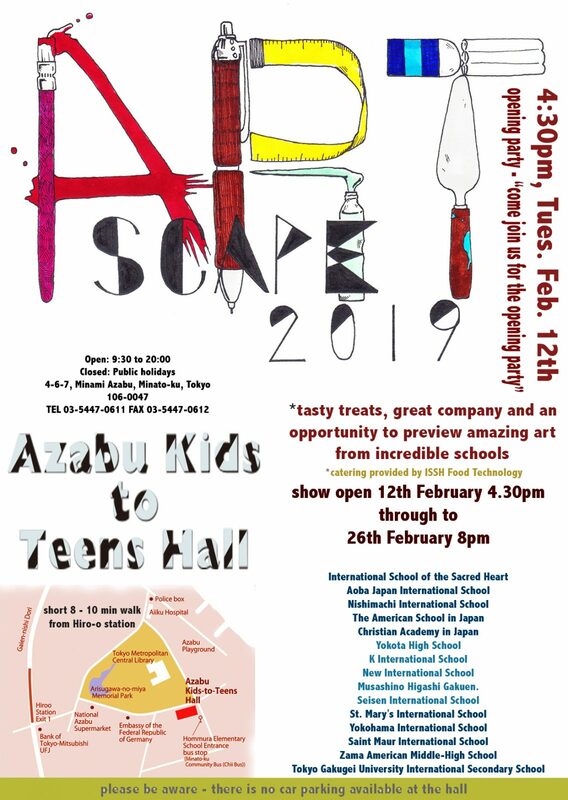 The event will take place at the Azabu Kids-to-Teens Hall from February 12, 2019 – February 26, 2019. Artscape 2019 exhibits international students artwork and offers free master classes that aim to bring young artists together in a creative atmosphere.